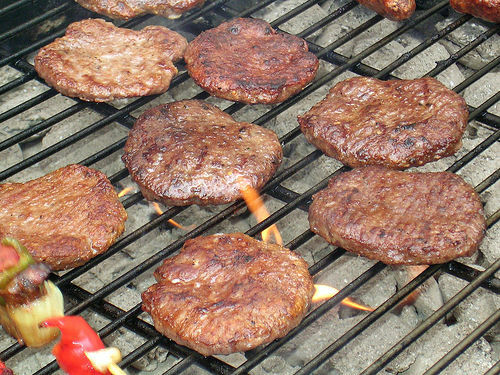 New research in America has revealed a link between the chemicals produced when cooking meat and the risk of developing dementia - an interesting development which helps to enhance our understanding of the condition. New research in America has revealed a link between the chemicals produced when cooking meat and the risk of developing dementia – an interesting development which helps to enhance our understanding of the condition. The news comes after mice fed a diet rich in advanced glycation end (‘AGE’) products were found to have developed dangerous proteins in the brain and also displayed impaired cognitive function. AGE products are formed when sugar reacts with proteins or fats, occurring either naturally or through the cooking process. Following research at the Icahn School of Medicine in New York undertaken on both mice and humans, the outcome of the study suggests that age-related dementia could be causally linked to high levels of AGE products. Therefore, it could be assumed that a reduction of these foods in the patient’s diet could help to prevent the development of various forms of dementia. With the possibility of a cure for the condition still seemingly a long way off, it is important that these kind of studies continue to work to potentially make easier the lives of residents of dementia care homes and their relatives across the UK.